Next up: Chapel Hill, home of the University of North Carolina. 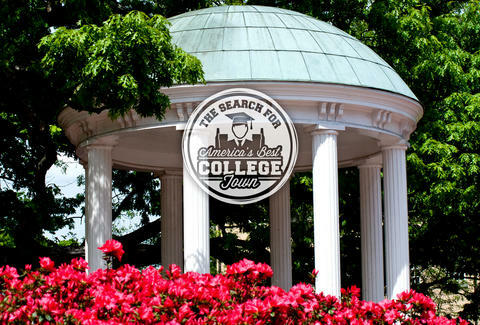 Here are 14 reasons why no other college town in America can hold a candle to it. Ok, let's start with an easy one: Michael Jordan. Dean Smith. Vince Carter, James Worthy, Phil Ford, Tyler Hansbrough, Roy Williams, Dewey Burke. Do we need to go on? 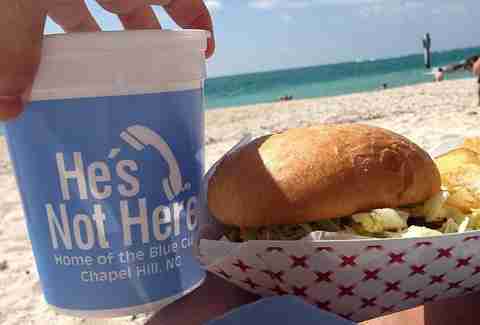 If God isn't a Tar Heel, then why is the sky Carolina Blue? 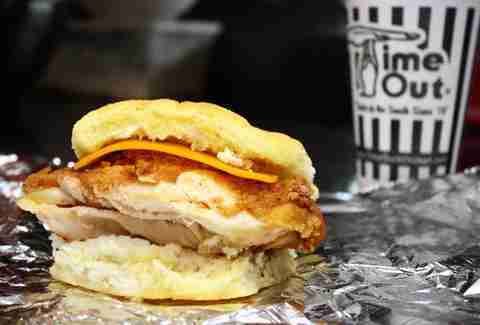 Fried-chicken biscuits, pulled-pork barbecue, a side order of Heaven -- this soul food joint satisfies cravings 24/7. Chapel Hill's iconic, 200-year-old avenue not only boasts an eclectic array of bars, restaurants, head shops, music stores, and street performers, but it also has, among other oddities, its own planetarium! And when we win a national championship, the street looks like this. “Stu” was cooler than the other side of any pillow, and he was our own. 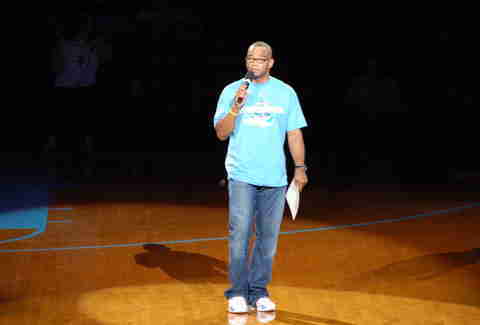 He loved UNC so much that he regularly hosted "Late Night with Roy," the basketball program's season-opening Midnight Madness event. He will be missed -- and remembered. Our town crossroads is a brewery. And a distillery. Top of the Hill, or "Top O," rises above Franklin Street for a postcard-perfect view of Chapel Hill. Their brews have won over 100 awards, and they distill the first and only organic, "grain-to-glass" spirits in the state. Speaking of beer, He's Not Here offers its collectible, 32-ounce buckets of domestic suds for only $5 on Tuesday nights; and on Sundays, they make you incredible at karaoke. John Grisham, Lewis Black, Ben Folds, and James Taylor are among the distinguished folks who have lived in Chapel Hill. And James K. Polk, Charles Kuralt, Andy Griffith, Thomas Wolfe, Mia Hamm, Jordan, and Stu have all called the dorms home. Boo-yah. If you thought we only cared about basketball, take a second to ponder this little nugget: there have been 33 NCAA national title games in Division-I women's soccer history. UNC has won 21 of them. We're No. 1... at saving money! 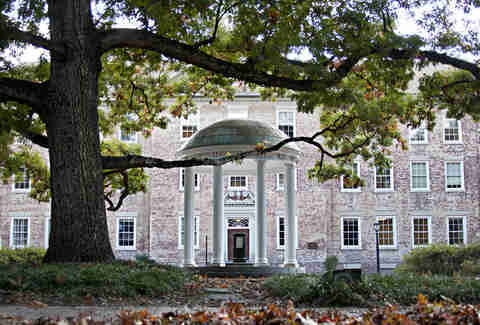 In 2014 both Kiplinger's and The Princeton Review ranked UNC-Chapel Hill the country's best value among public universities. We’re Kiplinger’s champ again in 2015 — for the 14th straight year! 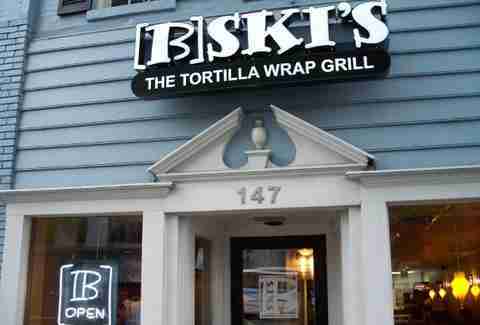 Cosmic Cantina’s burritos, Joe's Joint’s burgers, dogs, and chicken fingers, [B]Ski's everything-under-the-sun wraps -- the Hill’s late-night eats blow every other college town's away. For many, the words “Deep End” ARE college. Twenty-five-cent brews, Country Music Night, and the world's most hygienic Beer Pong... did somebody say "Cannnnoooonnnnballllll?" Freshmen, graduates, alumni, newlyweds, and babies drink the Holy Water. To visitors, it's a well. To Tar Heels, it's home. Classic architecture, lush quads, and the Coker Arboretum ensure that a walk around campus will involve gawking at more than just coeds. 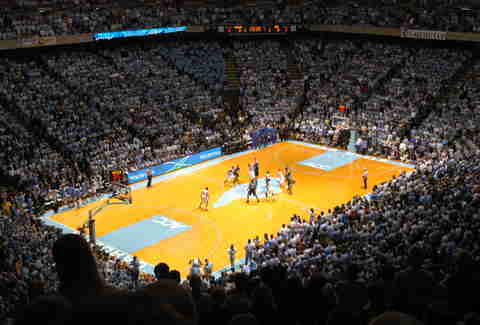 While at UNC, Sam Rosenthal covered Tar Heel athletics for The Daily Tar Heel and WRALsportsfan.com and was a reporter for Carolina Week. His glassware collection consists mostly of Blue Cups. Follow him @SamRoseWrites.